Traditional sweet potato casserole is loaded with sugar, making it a dish your smile won’t be thankful for on the festive day. 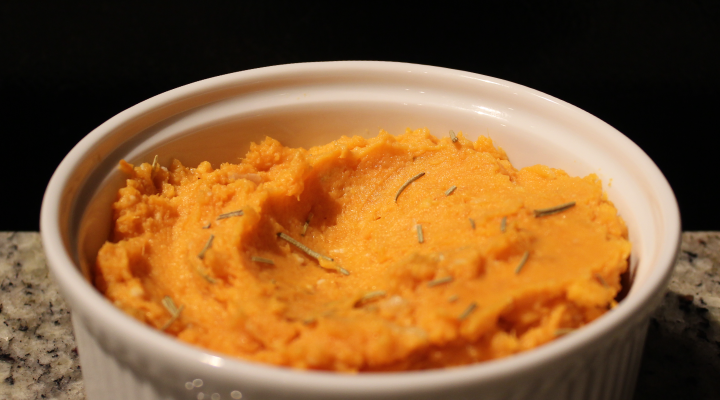 Instead, opt for this healthier sweet potato mash. Peel the sweet potatoes and put in a pot of boiling water for 20-30 minutes. Test them with a fork. Remove from heat when tender. Cut the top of the garlic cloves off, enough to expose the open cloves. Drizzle with olive oil and wrap in aluminum foil. Bake at 400o F for 30 minutes. This step can be done the day before and the garlic kept in the refrigerator overnight if your oven is preoccupied on the big day. Drain the potatoes and mash with a potato masher or an electric mixer. Squeeze the roasted garlic cloves into the potatoes and mash until blended. Add 1/3 cup of milk at a time while mashing and 1 tablespoon of butter at a time. Mix in rosemary, parmesan, salt, and pepper to taste. Classic green bean casserole is packed with salt, thanks to the cream of mushroom soup and fried onion topping. This green veggie replacement cuts down on the salt and will pump up your taste buds. Trim off the outer leaves of the Brussels sprouts. Cut the bottoms off and cut the Brussels sprouts lengthwise. Place on a baking sheet and bake for 20 minutes, shaking the pan halfway through. 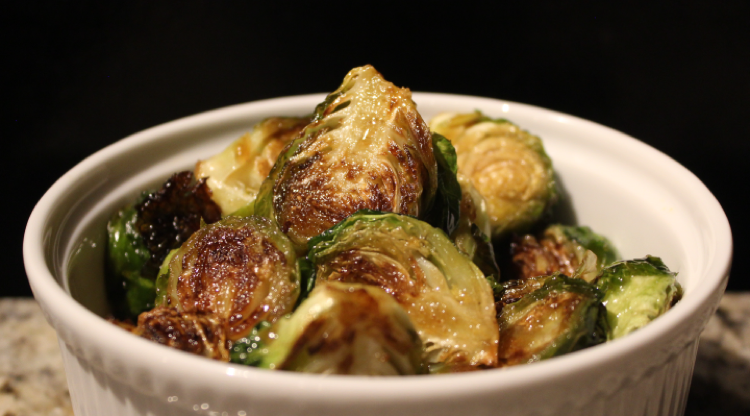 Tip: If the oven is taken on Thanksgiving, fry the brussels sprouts in a cast iron pan for 8-10 minutes. Transfer Brussels sprouts to a large bowl and add the balsamic vinegar and honey. Drizzle olive oil. Mix until they are evenly coated.